The more important question however is how do you use the HBP after you install it on the Replicator 2 with the MakerBot Desktop software (previously called MakerBot MakerWare). What you can do to make the heated build plate is to switch the software to the Makerbot Replicator 2x profile instead of the Replicator 2 that you should normally be using. 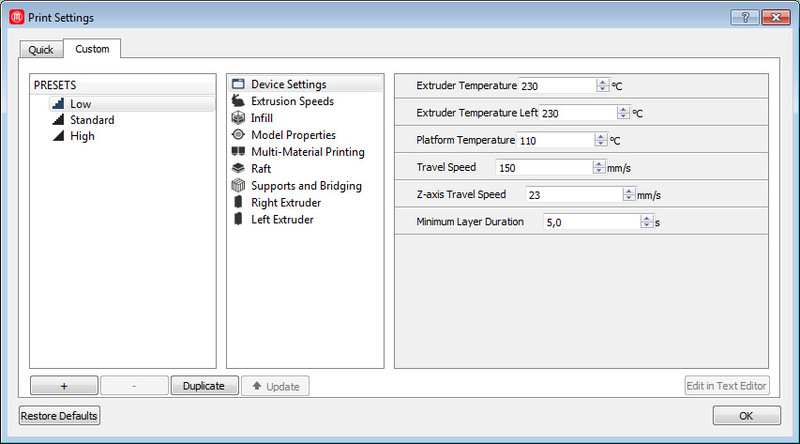 You can do that from the MakerBot Desktop going to Devices – Select Type of Device – Makerbot Replicator 2x. It however comes with some drawbacks such as slightly reduced build plate size in the software, though your heated build platform may actually be smaller compared to the original space available prior to that. 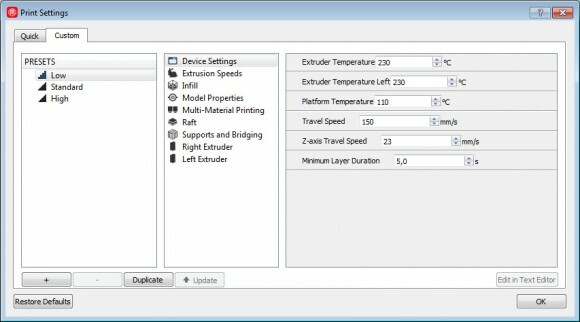 You need to go through the Print Settings panel in order to get access to the settings for 3D printing and under the Temperature tab you will see the option to enable the option called Heat the Build Plate and set the Build Plate temperature to the desired value. Also since the Replicator 2 has only one extruder, you need to set the temperature for the extruder in the Right Extruder panel. On the MakerBot Replicator 2 3D printer you also need to do something in order to activate the support for the Heated Build Plate. You need to go into the following menu Info and settings – General Settings – Set to Yes to the Heated Plate option. 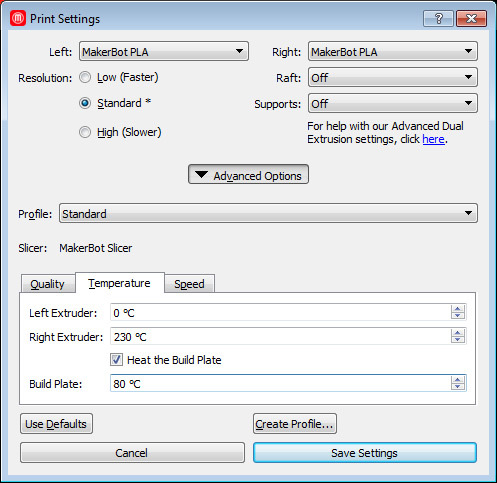 Also in order to properly use the Preheat setting from the 3D printer you should also go into the menu Info and settings – Preheat Settings – Set the desired temperature for Preheat under Platform. 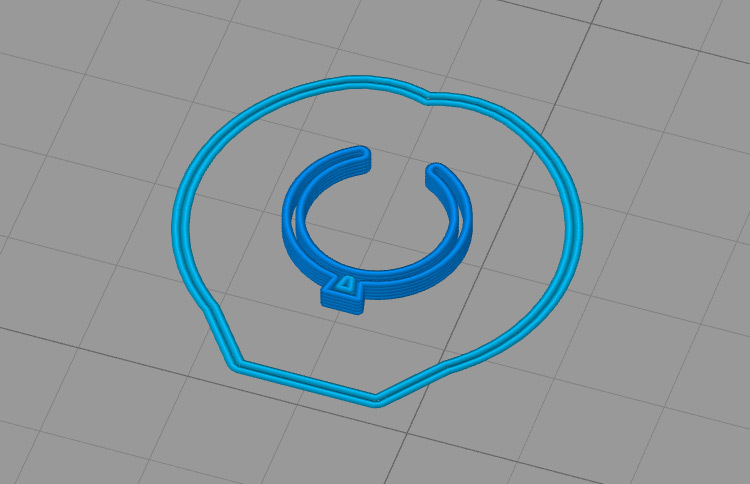 When you are 3D printing small parts that are just a few millimeters in size you have probably bumped into a problem where there is a gap between the outlines/perimeter shells of the object and the infill, regardless of the percentage does not help. Normally with larger objects the inside of the model will be filled by the infill prodigious strength and durability of the printed object based on the percentage of the infill you are using. But when you get to printing small parts the slicer is normally not adding infill and a gap remains between the outside shell. This makes the printed part more flexible and less durable and that can be a problem, not to mention that the printed result is not a solid object as you might have expected it to be. 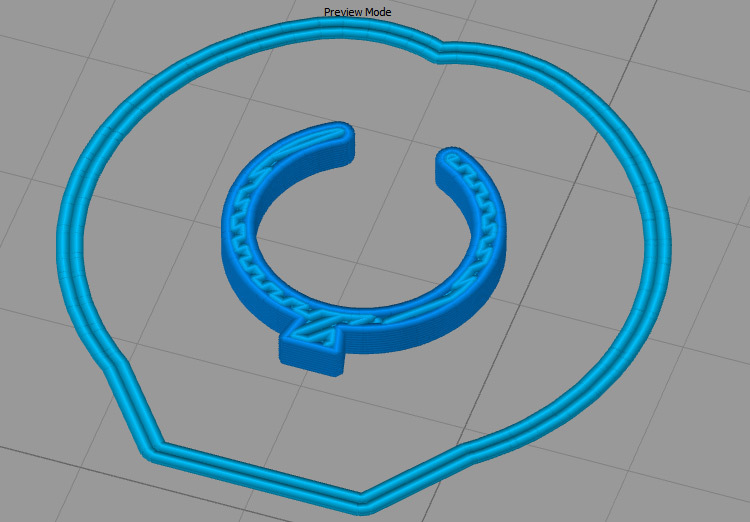 This is the default behavior and is normal to happen with different slicers, such as the MakerBot Desktop (MakerWare) as well as Simplify3D, but some programs do have extra options to address this issue. The MakerBot Desktop software is nice and user friendly but does not offer a lot of additional options to users in order to address such problems as the one mentioned above. But if you use a more advanced software such as the commercial Simplify3D slicer, one of the useful extra features that makes it worth to actually pay for the software. Using the Simplify3D software if you go in the Process Settings menu, under the Infill tab you can see an option called Outline Overlap and increase the value of the percentage over the default value of 20% you will see that the gap inside the smaller objects can be filled with infill. It may take some tinkering with the value to get the best results and some test prints, but the end result is that the small and 3D printed part is finally solid and how it should be.